Angel Christmas Tree | Gift Tags Ready | Deadline December 17 to Return Your Gift Donations! There is nothing more special and heartwarming than a child’s smile on Christmas morning as he or she opens their Christmas present. Unfortunately, there are children right here in Shelby County that won’t be smiling on Christmas morning. But you have the opportunity to give a child a smile and warm their heart with God’s love. 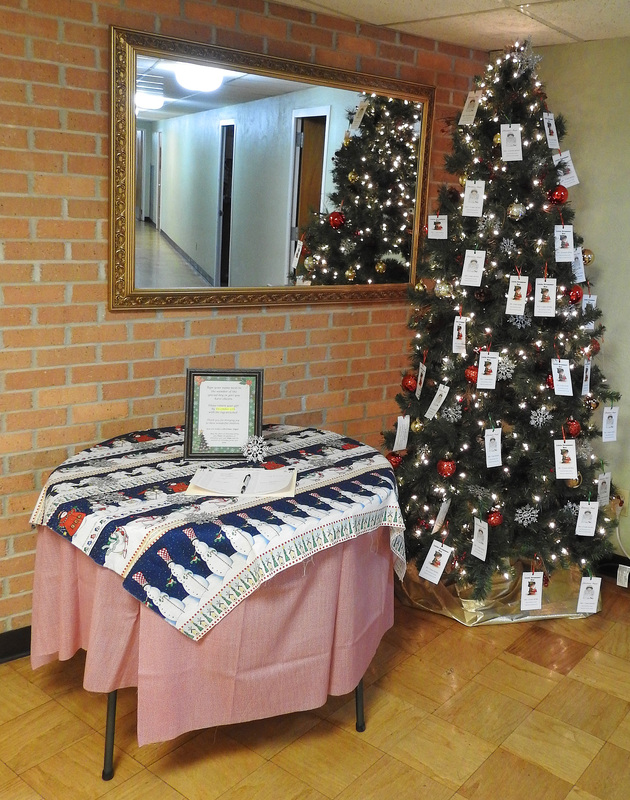 Our Angel Tree is up in the fellowship hall decorated with tags with the name of a child in need on them. This year we are supporting Gary Rholes and his effort to bless some of the children in our area. Please take a tag and sign your name to the corresponding child’s number on the sign-up sheet. Then return your gift to the church office by Monday, December 17, 2018. Thank you for supporting this wonderful ministry and changing the lives of those children who are blessed by these gifts!